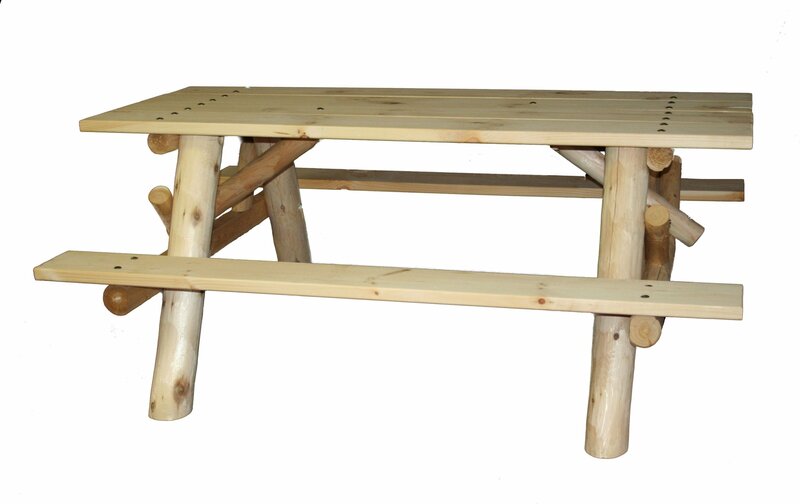 What better compliment for your backyard or patio than a Lakeland Mills Cedar Log Picnic Table. This table is heavy duty and built to last. Made from Northern White Cedar logs, which naturally produces preservatives that help resist decay and insects. 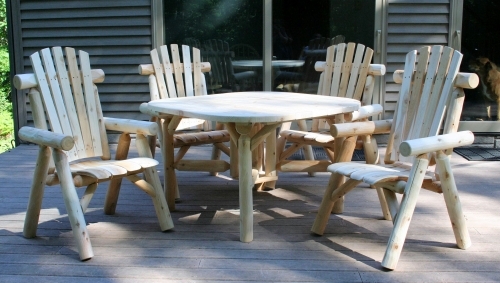 We use Northern White Pine for our table top and benches. The White Pine we use is native to our home state of Michigan, and it sturdier than other species of pine. Each board is dried and inspected for defects before processing. Our boards are sanded to be smooth and free of splinters. 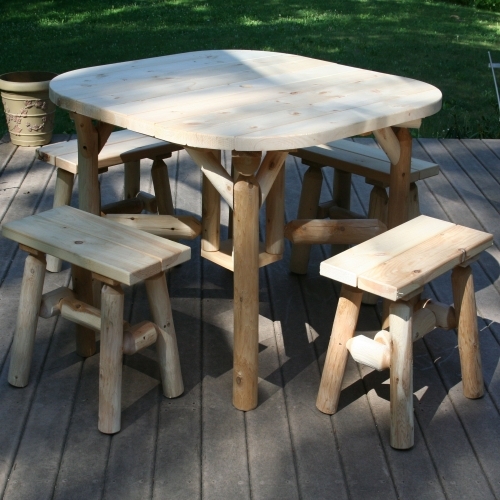 Tables may be finished with any outdoor wood preservative, or left unfinished to weather to a silvery grey. 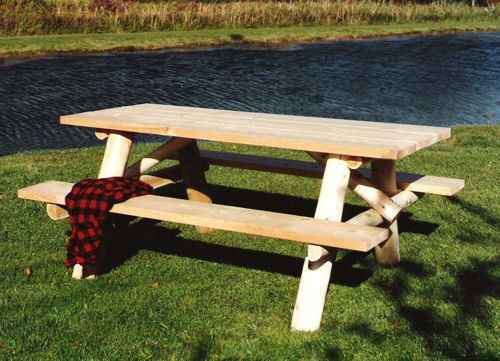 Our Lakeland Mills picnic tables will give years of use and enjoyment. Because they are made from Northern White Cedar, they will continue to serve for 10 to 20 years, or longer. Other products made from inferior wood, such as imported Chinese Fir, are not resistant to rot and insect infestation, and may only afford 1 to 3 years of use. Imported wood products must go through fumigation to kill any foreign insects and their eggs. They use products that give off odors that can contain formaldehyde and other toxic chemicals. Even after undergoing this process, there is no guarantee that all pests are destroyed, which in turn can unleash these bugs into our eco-system, causing damage to our native trees. Lakeland Mills is committed to excellence in craftsmanship. We never stop looking for ways to improve our designs, and the process in which we manufacture. Finding ways to streamline production allows us to offer our products at the best possible prices. 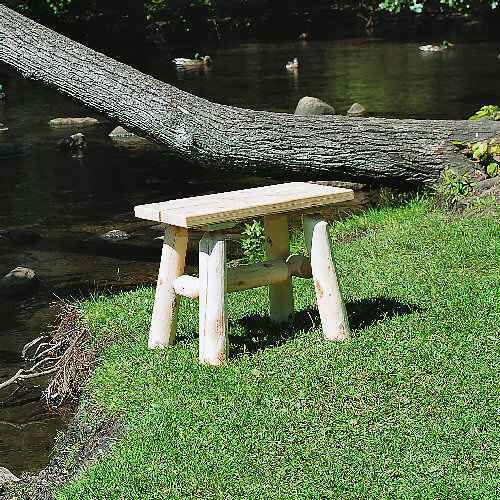 Making quality log furniture at affordable prices makes Lakeland Mills products the best value on the market. America wants quality, and we deliver. of the products, and available to help with questions on assembly, quality, finishing, or any concerns a customer may have. We also have replacement parts available for any issues. Weather damaged in shipping, a storm, even animal damage, we are here to help. Our hardware used for assembly is heavy duty and coated to protect it from the weather. Complete instructions, with pictures, make assembly easy.